Finally! Our family photo is up! It took almost year, but we did it. Here's the story. One thing we have learned from building our home is that there are things you can anticipate and plan for, there are things that will surprise you, and there are things you should plan for, but don't. When we were planning our new house, one of the few disagreements Niels and I had was over the height of our great room. Being the practical person he is, Niels wanted the ceiling to be an even 10' with the rest of the main level. It's easier for heating, and also makes that space available on the second floor for another room. I had a two-story ceiling in my previous house, which I loved specifically for the reason that it saved my life when I left my gas stove on...for a DAY. (Ah, the early days of my brain injury. Don't miss 'em a bit!) Safety and sentimentally won out over practicality, and we compromised with a 14' ceiling. The challenge of a tall ceiling is how to decorate the room so it doesn't look like a big cave. Here's what the great room looked like under construction. See that HUGE space above the mantle? To give you some perspective, that piece of wood laying on top is 6' tall. Last Christmas, we came over for a little bit. There was no heat, so we didn't stay long! Part of our plan was to stare at that wall until we figured out what we wanted to do with it. We knew we wanted a family photo, but we really didn't want a 8' family photo! Inspiration struck! We would put up a wood grid mimicking the prairie grid of the windows. Not only did us buy us time in getting a photo for the middle, but it made said photo much less expensive! It took a few tries, but our carpenter got it. The fireplace and trim was painted first. And then the rest of the walls were painted. 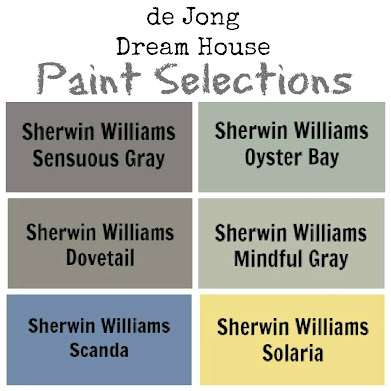 (Sherwin Williams Mindful Gray, if you're curious). This is when we decided to stain the top of the mantle to match the top of the stairway. That turned out to be a great idea. 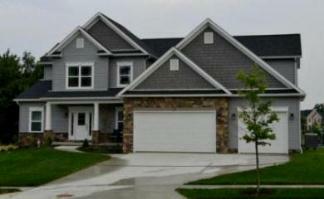 This is what it looked like the night before we moved in. And this is the way it stayed for almost eight months. 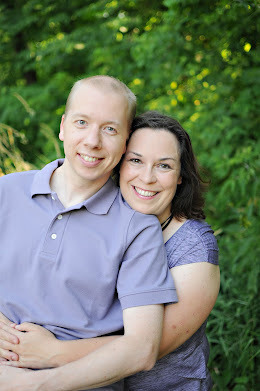 This past June, we had family photos taken for the first time. I bought coordinating outfits in purple and gray to match the room's colors. We loved how they turned out. We did not love our photographer's price for the 24" x 36" photo we needed. (He didn't either). We did some research and got our photo as a poster from Walgreens for $20 when we took advantage of a coupon. I found the poster frame at Goodwill. It was originally from Target, but I got it for $9! We were thrilled with the quality of the poster. No pixelation at all. We set it up on the mantle. Saw that it fit. And then left it on the mantle for a few...weeks. Due to my brain injury, I'm not allowed up high. I tend to fall. So Niels got the lucky job of hanging the frame. First he did some measuring to make sure the frame would be centered. Then he measured and marked where the frame should go. Doesn't he look freakishly tall? Our brilliant idea was to mark with sticky notes where the frame hangers were so he could just slide it down. I did a lot of running up and down the stairs eyeballing the frame to make sure it was level. It was. And done! I love being greeting by this photo as I come downstairs each morning. 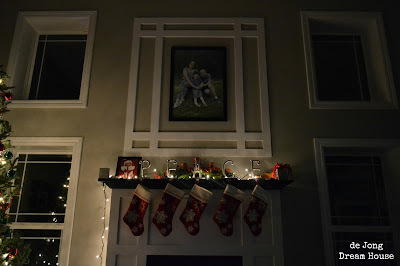 I thought the picture looked especially gezellig, or cozy, this Christmas. I can't tell you how good it feels to have this project finally done! What project do you have on your to do list that never seems to get done? Me too, Lena! On both counts! Love this! It would be great if you would come share it at my Funday Sunday Link Party that will open this Saturday at www.the-crafty-cowgirl.com! Hope to see you there! Love this! It fits so well with the rest of the wall and the windows, etc. Thanks for sharing at Pinworthy Projects! That is a tall wall and a STRONG mantel! :) Looks fantastic!! Yes, and thank God it is! That looks really nice. 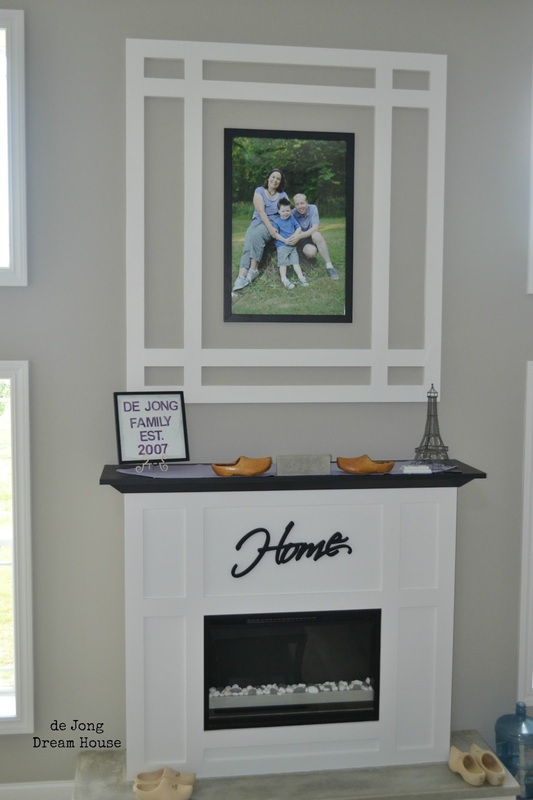 I love the frame over the mantel. A perfect marriage! Thank you! I love essential oils and am always looking for new uses. I'll come check you out. Wow, how pretty! Such a perfect place for a family photo! :) My boyfriend and I just got maternity photos done, and my $150 photo purchase is still sitting in the envelope on the desk. Definitely need to get some hung! 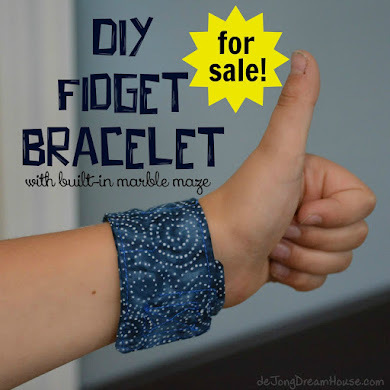 Thanks for linking up to the Craft Yourself Crazy link party! I love your photo and the frame work, excellent choice!! Niels is 5'10", so not too little! But yeah, the mantle is pretty substantial! I am deathly afraid of heights so you wouldn't catch me on that mantel. Kudos to your husband! I do love it and especially love your family portrait hanging above it. I never knew you could get posters made at Wal-Mart. Thanks for that. Will have to check it out. New follower here and on FB. Found you on Confessions of an ADD Housewife linky party. It was scary to me to see him up that high, too! I got the posters made at Walgreens, not Walmart. We've been really happy with the quality and price there. Do a google search of Walgreen photo coupons because you order and you save more money. Thanks for following us! Love that frame over the fireplace~ I have a tall fireplace & vaulted living room too. great idea! Thanks for linking up! Thanks! It took us awhile to figure out how to use the space, but I love what we came up with.